Fall is that wonderful time of year when the leaves begin to change color from green to shades of yellow, red and orange and crisp autumn scents fill the air- because fall season has the best sights, sounds and smells. People from different cultures celebrate the changing of the seasons, the plentiful yields of their fields and loved ones with seasonal foods, fun festivities and joyous thanksgiving! Depending on which part of the USA you are in, there are some very unique festivals native to that state. Besides Halloween, some of the more popular ones are the National Apple Harvest Festival, Balloon Festival, German Village Oktoberfest, Wellfleet OysterFest and Harvest on the Harbor. We’ve put together a selection of simple yet delicious party appetizers, now that it’s time to host that fall party to celebrate the cooler weather. Bite-sized, easy to handle and serve, what’s best is that most of them can be made ahead of time and frozen. Just bake, fry or grill depending on what the recipe calls for and you are good to go! POTATO WRAPPED SHRIMP - Guaranteed to have your guests relish it with their eyes as well as their taste buds, this appetizer is elegant and rustic at the same time. 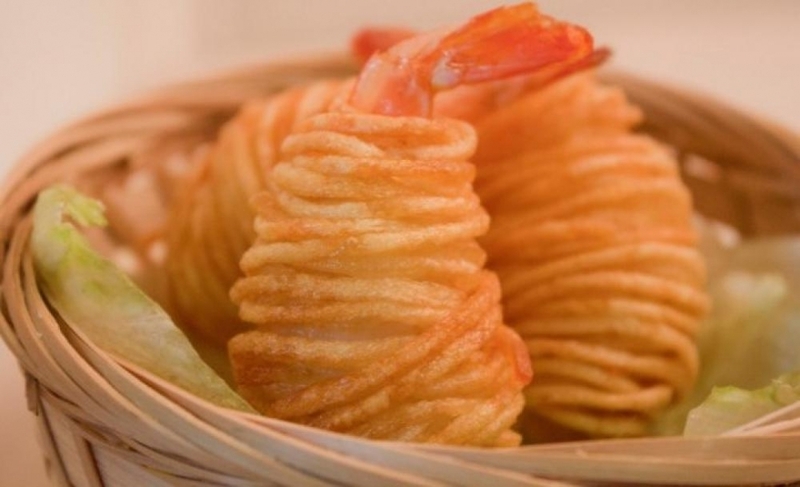 The shrimp is entwined with long strings of raw russet potato (a spiralizer can turn vegetables into thin spaghetti strands) and deep fried. Serve them hot with lemon wedges and a sweet chili dipping sauce for that mild, spicy uplift. 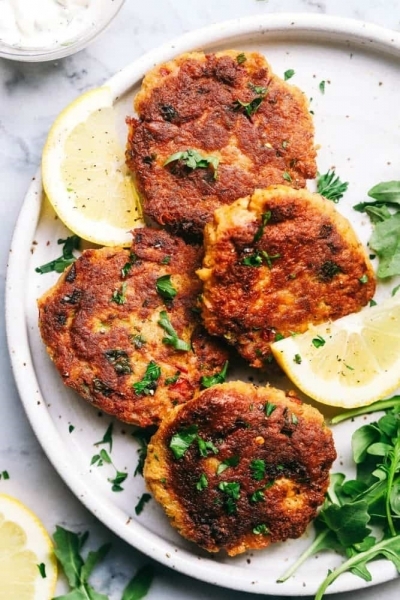 QUINOA AND ZUCCHINI FRITTER - This super quick and super healthy appetizer combines the goodness of quinoa & zucchini along with crumbled pine nuts, feta cheese, lemon juice, fresh parsley and dill. 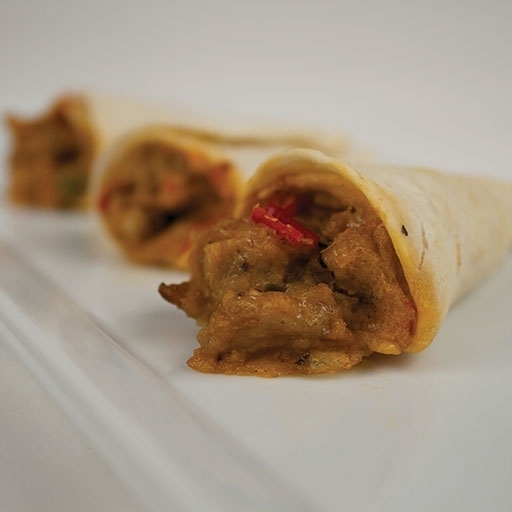 Serve it up with yogurt, sour cream or plain - it’s nutrition-packed, vegetarian and gluten free and will surely change the way your guests look at gluten free food, for sure! 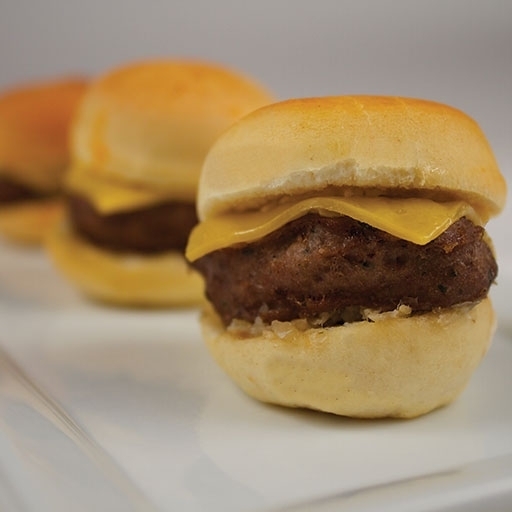 WAGYU BURGER WITH AMERICAN CHEESE - An ideal fall party appetizer to gratify adults and children alike, the Wagyu beef makes these tiny burgers a show stopper. Tender and succulent Wagyu beef patty layered with sautéed onions and American cheese, placed on a traditional bun. Serve it with some relish for that added flavor. 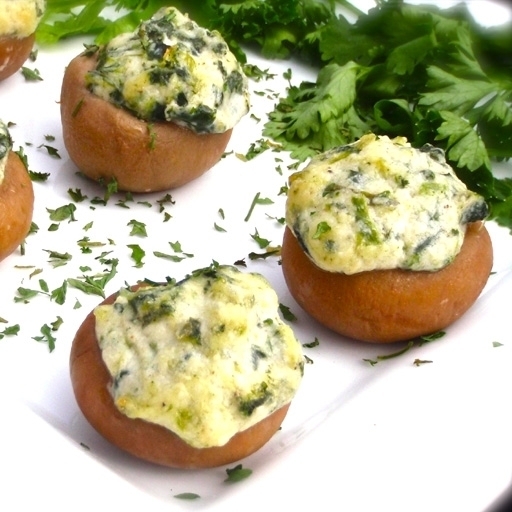 BOURSIN & SPINACH STUFFED MUSHROOM - Tender mushroom stuffed with deliciously creamy Boursin cheese and spinach, flavored with garlic and topped with parmesan and panko crumbs. 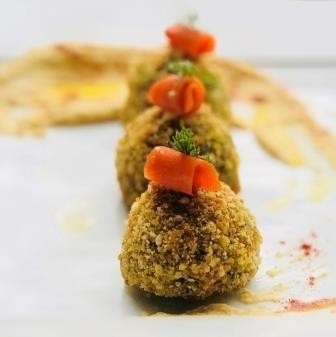 Baked to perfection and drizzled with olive oil, this irresistible combination of ingredients warms the heart and leaves your guests yearning for more. 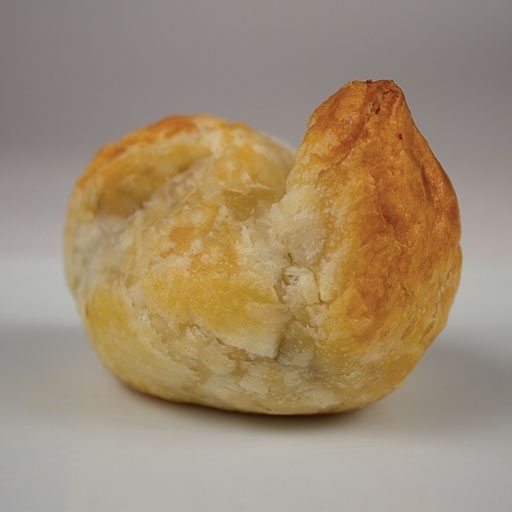 CHICKEN DIJON PUFF - These flaky and beautifully buttery mini puffs are gobble worthy. A simple filling of tender chicken pieces coated with honey-dijon mustard, layered into a puff pastry, coated with poppy seeds and baked to perfection. You can alter the size and shape according to your requirement, but these small round shaped ones are pretty, dainty, easy to handle and easy to serve. You can make this ahead and freeze it. Bake them on the day you need to serve them hot and fresh straight from the oven. GRILLED STEAK FAJITA WITH BELL PEPPERS & ONIONS - These insanely flavorful soft tortillas are filled with grilled steak, julienned bell peppers and onions, shredded cheddar cheese and chopped fresh cilantro. Bursting with flavors, colorful and crunchy from the red, yellow and orange bell peppers, you can easily customize them by adding whatever toppings you’d like - cheese, sour cream, salsa, lettuce and guacamole - to name a few. A quick squeeze of lime and you are in fajita heaven! 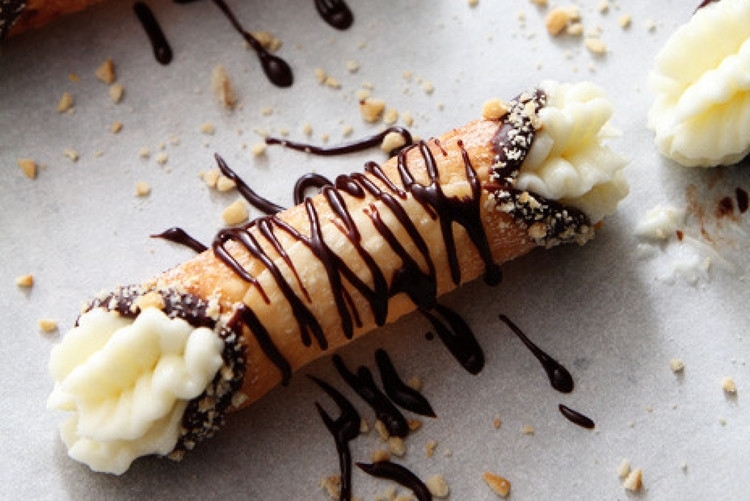 CANNOLI'S - Finger-sized Italian tube-shaped fried pastry shells filled with a sweet, creamy ricotta filling, a hint of orange zest and topped with chocolate drizzle. These dessert appetizers are perfect, delicious crowd pleasers - not over sweet and yet enough to do the job. Your guests are bound to be hooked! 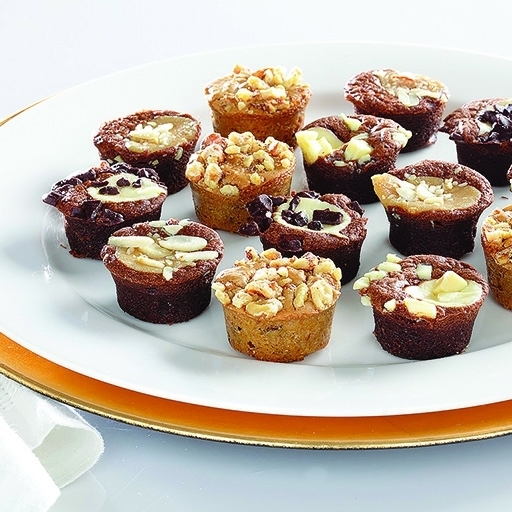 BROWNIE BITES - Another classic dessert appetizer that’ll never get boring – Brownie Bites! Brownies have a tendency to get people into dessert frenzy! These delectable squares of brownies with crispy edges and a rich, fudgy texture are absolutely addictive. You can get creative with the flavors to make them fun and interesting for your guests. The four flavors that we have put together are Raspberry Cream Cheese, Blondie, Peanut Butter and Cream Cheese Zebra. They are guaranteed to disappear before you can say “dessert”. For your fall party - large or small, indoors or outdoors - AppetizersUSA has an exciting and classy range of appetizers to add that dash of ‘extra-special something.’ Our appetizers are readily available and can be delivered at short notice. With the hassle of prepping the food taken off your shoulders, you can focus on your party and guests. So do get in touch with us and let us help you put the fun into your party!